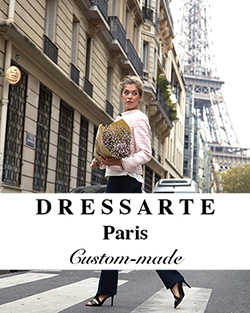 A few years ago we couldn’t even imagine that it would be so easy to make our clothes customised and even to have them cut according to our measurements (check for example amazing Dressarte brand). Today, customisation is a new trend that seems to please many of us. Isn’t is exciting to have a unique garment or accessory made especially for us? You have definitely seen our Instagram stories where we took you around Coach store in Paris to be among the first to discover their new customisation service, COACH CREATE. So, now it’s officially launched and you can design your dream bag within a few minutes in a Coach flagship store, rue Saint-Honoré. There are various options to choose from: leather roses or pins, scarf and monogrammed bag tag. 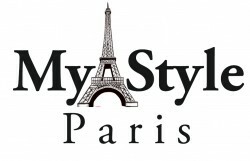 Exclusively for MyParisStyle, we got into the working space, where we designed a personal Monogram and were impressed by the process of making it that took just 10 min! We’ve imagined a bag together with a lovely Coach team choosing leather roses for the bag which are so feminine and elegant, just like their SS18 collection including pieces from a new collaboration COACH x Keith Haring. Magnificent items from you, man. I’ve consider your stuff prior to and you’re just too excellent. I actually like what you’ve acquired right here, certainly like what you are saying and the best way during which you are saying it. You’re making it enjoyable and you continue to care for to stay it smart. I cant wait to learn far more from you. This is actually a tremendous website. We do appreciate your words. Thank you for your feedback. It’s amazing to pay a quick visit this website and reading the views of all mates about this article, while I am also keen of getting experience. Thank you for your comment! We appreciate your feedback) It was a really good experience. What did attract you most?